The big running highlights of the year are, of course, my marathon, but before that I ran further and further on the trails, which culminated in a 30K on my 37th birthday. 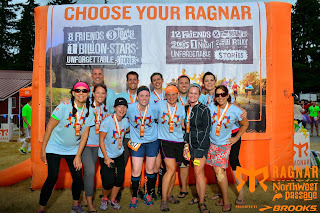 I spent the first half of the year working hard on organizing a Ragnar team, too! Things for our family were overall fairly positive, although we were thrown a tough challenge, as our beloved kitten, Inky, passed away. In January my older daughter played on a basketball team for the first time, and it was an absolute blast . . . for all of us! 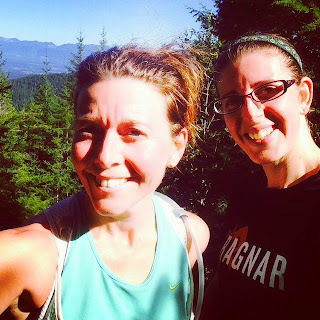 I also started marathon training, for the third unsuccessful time, and helped my bestie move from Texas to Oregon. Somewhere outside of Flagstaff, AZ. In February I found an amazing new trainer (whom I don't currently work with, but hopefully will again some day!). We also sadly discovered our newly adopted kitten was very ill. 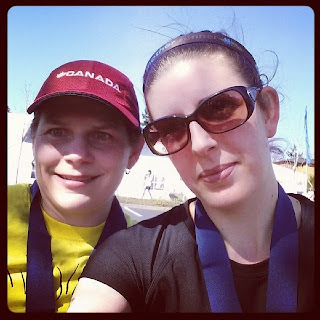 In March I got to run a half marathon with Tara! 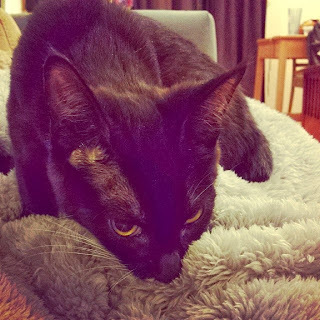 In April our dear Inky passed away and shattered our hearts. A couple of weeks later we adopted sweet Oscar, to help our hearts heal. My third marathon bid ended with a third suspected stress fracture. In May I mostly was all over the place trying to build my body/foot strength and figure out what the heck was going on with my foot. In June (and the end of May) I enjoyed testing out the Jawbone UP24 and the Fitbit Flex. It was the start of the girls' summer vacation! July was all about Ragnar, which I re-capped HERE and HERE. In August I ran my first ever trail race. And became hooked, obvs. Matt, the girls and I also went on a 5-day vacation to Wisconsin for some family and fun time. 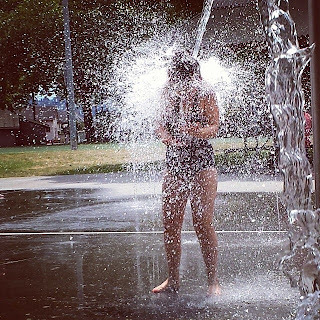 I didn't blog about it, but it was definitely a highlight of the summer. 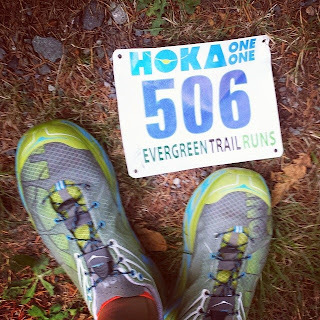 In September I started running on every trail I possibly could, and even started a little trail running series on the blog (which I need to start posting about again!). 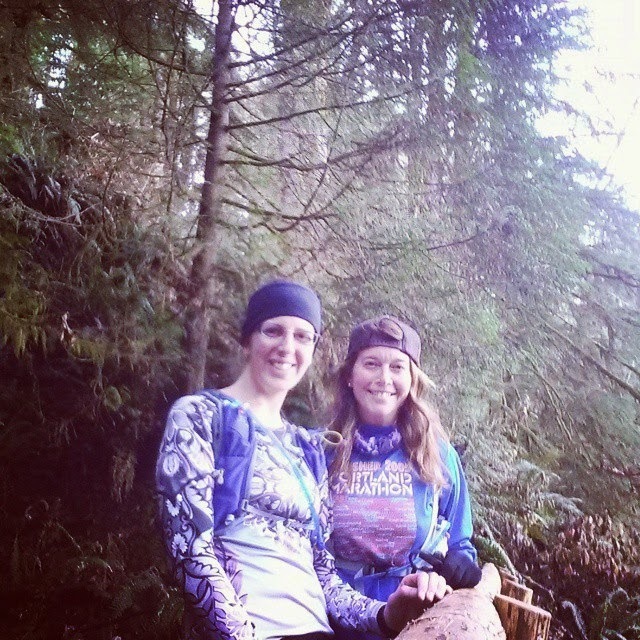 I also ran up and down Tiger Mountain with Stacey, which kicked off the first of many amazing trail runs together. At the top of West Tiger 3. In October I ran my first ever 30k, which was actually about 20 miles. It was amazing and I loved every second of it. The girlies running me in to the finish. In November I ran my marathon! December was about rest and recovery and doing what is fun. And Christmas. And eating a lot of unhealthy things. I am excited about 2015. If all goes as planned, it will hold my first 50k, a few fun family vacations, and some big changes in all of our lives and we send our oldest daughter off to middle school! The entire first half of 2015 centers around the Sun Mountain 50k. 50k! Have I mentioned this yet? Haha. I have a couple of other races leading up to it that I will run "for fun". Which means, no goals other than to have fun and feel good at the finish. Then again, those are the only two goals I have had for races for the last couple of years. They are decent goals, as my main priority has been upping my distance, so finishing the distance = WIN and automatic PR! Anyways, the first race I have coming up is in February, the Frost Eagle half marathon at Soaring Eagle Park on February 7th. I haven't yet run in Soaring Eagle Park so I am excited about the race! It is in week two of 50k training, so it should be a great way to kick things off and have a nice long, supported run. The second race I have registered for is the Peterson Ridge Rumble 20 miler on April 12th. 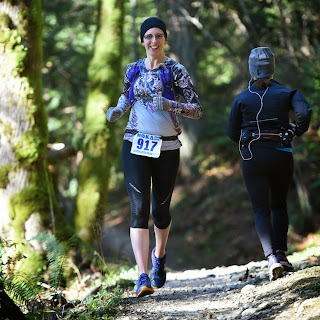 My trail running partner Stacey ran this last April and loved it so she wrangled a few of us in to signing up with her for the 2015 race. 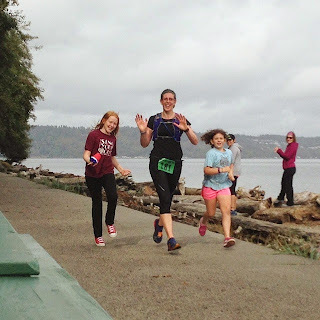 Besides getting to have a girls' weekend that centers around running (which sounds amazing!) I am extremely excited to visit the Bend/Sisters area of Oregon, where the race is held. The other exciting thing about this race is it was the first time I was ever able to register for a race on Ultra Signup! 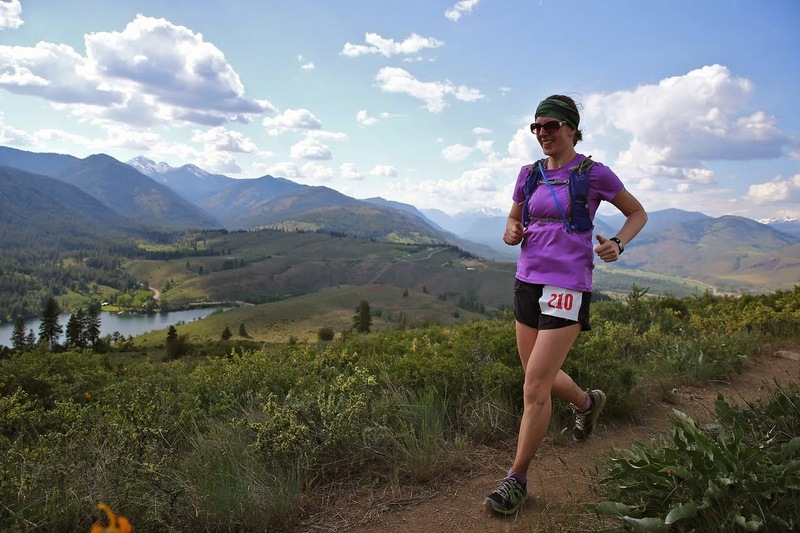 And the third race on my calendar, the big kahuna, is the Sun Mountain 50k on May 16th. It was my second ever Ultra Signup race. Haha. Half of me is like, 50k? Bring it on! I know I can do it, and am so very excited about the distance, I just hope my body holds up. It did great as I trained for the 30k and then the marathon, but I am still very, very nervous that something will go wrong. It will also be my first Rainshadow Running race, which are kind of infamous around these parts for being incredible races. Between the Rumble and the 50k I will have to run a marathon, but I haven't seen a local trail marathon show up on any race calendars, so likely Stacey and I will end up running it somewhere on our own. I won't even lie-- the idea of running 26.2 as a training run is beyond exciting to me. Really. For real. Apparently I have many screws loose. Will call this week the one with the fleas. UGH. Apparently all of our pets have fleas, which I didn't even realize they could get if they weren't ever around other pets. But they can! Fleas can come in the house on people's or pet's bodies! Let this be a lesson to you. And your second lesson is, if you go out on a crazy pre-holiday Saturday to pick up flea medicine from your vet, double check that they gave you the right stuff, otherwise you might get home and realize they gave you medicine for two dogs and a cat, instead of two cats and a dog. My very nice husband offered to go get the right stuff. Fleas be darned, I was NOT going back out there. So besides that (and isn't that enough?) the week in workouts has been . . . okay. Actually, mostly really good stuff, some annoying stuff. The annoying is that my right hip is, for lack of a better work, achy. Like, the entire hip. I have stretched and foam rolled and used my yoga tune up balls and got a massage and while those things provide some temporary relief, it's not fixing it. Off to the chiropractor I go-- it's been five weeks since I was last there, no wonder I'm falling apart! The name of the game this past week was getting out as much as I felt like, especially with my pup, who I am trying to turn in to a runner. You know what I think is wrong with my dog? I think maybe she doesn't even like being outside all that much. Isn't that weird? I was telling my friend Sally about it, like, you know how most dogs get super excited when you take their leash out? Well, Heidi ducks her head down and walks towards me very, very, very slowly. LIKE SHE'S IN TROUBLE. That's the exact opposite of being excited. As I run with her, even on the trail (more about that in a second) I have to keep encouraging her to keep running with me. So, anyways, she isn't taking to the whole idea, but I'm not yet convinced she can't be trained to, well, act like a dog. I did some yoga at home, since I skipped class to do a billion things on my to-do list. Met Sarah at the gym, we focused primarily on legs, a little on arms. A little run/walk with Heidi, about two miles worth. 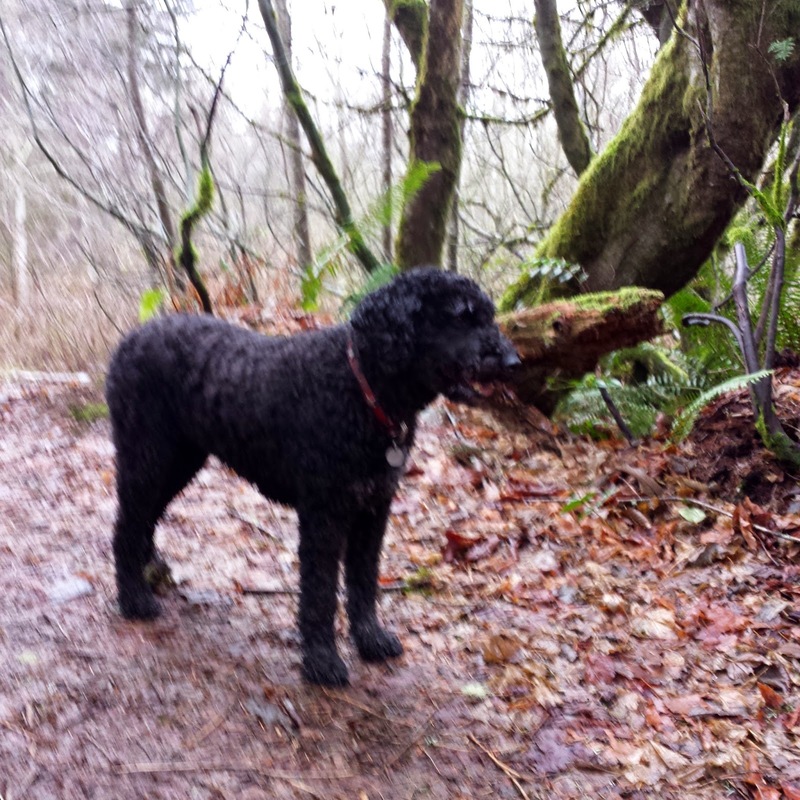 I took Heidi out to Cougar Mountain and did a three mile loop. She was so funny. I had her on the leash because first, it's the law (despite only seeing like two other dogs ever on leashes at Cougar) and second, because she is unpredictable around other dogs. About half way in I was so frustrated trying to run and keep her in front of or behind me (rarely able to run side by side on the trail) I let her off the leash. Such a law breaker! Here's the funny thing: she ran behind me the whole rest of the way. She trotted along, never moving faster even when I did. I coaxed her to a stream to drink, but other than that she stayed right behind me. Silly dog. 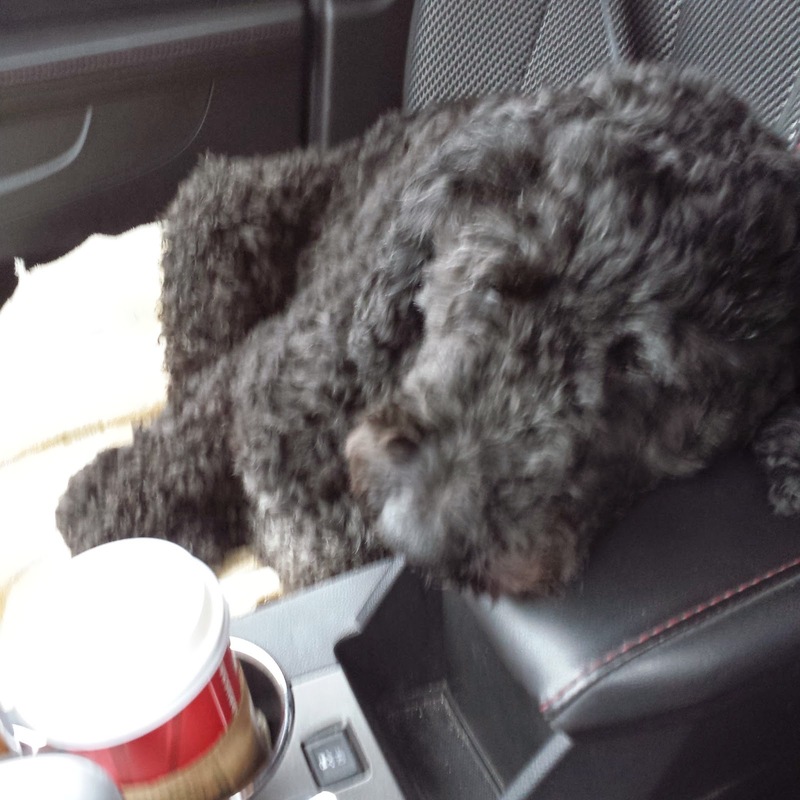 She was so pooped afterwards, she crashed out in the car. Sleeping in the car at Starbucks. 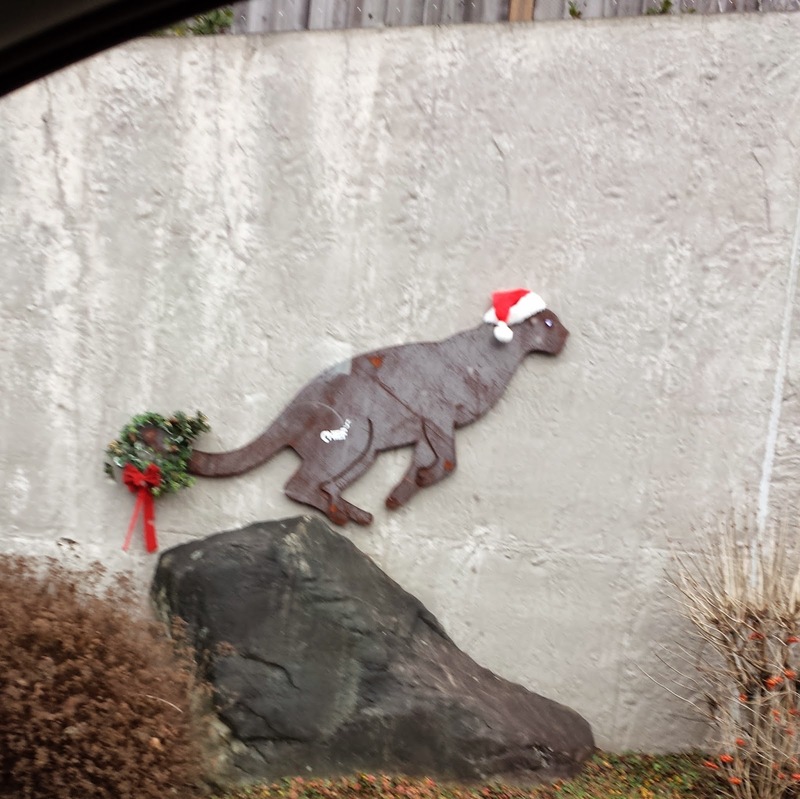 Someone decorated the cougars on Cougar Mountain Way! I met up with Sally for the first time in a looooong time. I was originally thinking roughly 11 or so miles, but my hip was aching enough that I decided to do less. It was a good choice, despite my hip never once hurting while we ran. I have nothing to "prove" right now, so lower mileage is good. Of course, 6.6 miles barely felt like enough time to catch up. Races, jobs, weddings, travel (damn, I forgot to ask her about Hawaii! ), everything else crammed in to a very wet hour long run. We ran from Fremont to Ballard then across the Ballard Locks then back to Fremont via Magnolia/the Fremont Bridge. It's a nice route, almost all very flat, and the locks are so cool. Grabbed my dog and my daughter and headed out for a 2 mile twilight run. It has been for.ev.er. since I have run that late in the day! We had fun and did some running and walking and my ten year didn't even complain. Jury is still out on the dog, but I think she liked being out of the house. Not having a training plan is throwing me for a loop. What do I do with my "time off"? Am I running too little? Too much? Maybe both, depending on the day? It's sort of crazy-making. If I had to make a guess, I would say I am running too few miles during the week and too many of the weekend-- but here's the thing: that is how I love to run. If I had my choice I would run little to no weekday miles and a million on the weekend. The primary reason for this is that the weekdays are so busy, I am lucky if I can fit in a few pavement miles between errands/appointments/volunteering/whathaveyou. That isn't my favorite way to run. I would rather head for the hills for several hours, losing myself in the woods and the long miles. So I decided the plan now is "Do What is Fun". Here's what is fun: I am attempting to train my dog, a Poodle/Australian Shepherd mix, to run with me. Likely I biting off more than I can chew, as Heidi (the dog) doesn't seem to love running and can be excitable/aggressive when she sees other dogs. So I have a big bag of treats that I shovel in to her and am using all the positive reinforcement I can muster. Hopefully she can be molded in to my new running BFF. 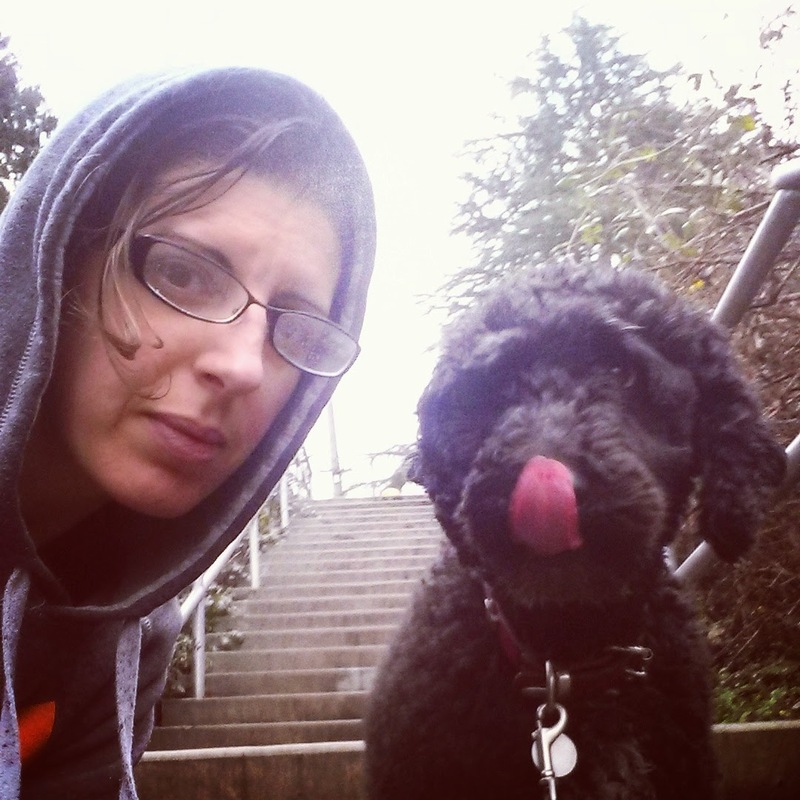 Heidi and I taking a break on a rainy morning run/walk. I am letting go of my concern about too-long weekend long runs and embracing time with friends. 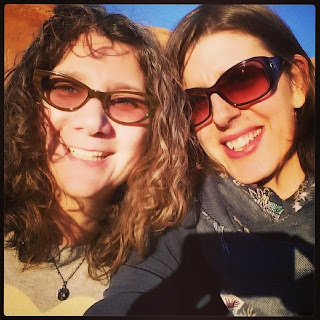 Stacey and I are gung-ho about exploring new-to-us trails, which is super exciting. Also, this weekend I finally, finally!, get to run with Sally again. Miss running with this girl! 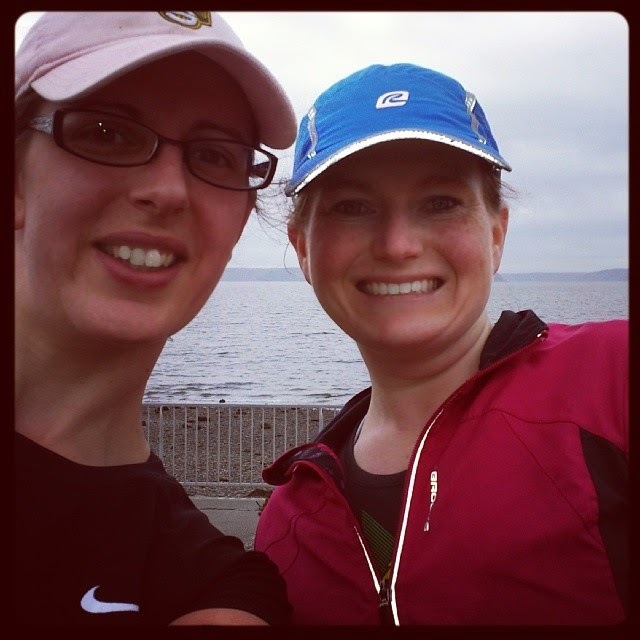 Sally and I on an Alki run last March. During the week I am loving strength training workouts with Sarah and yoga classes. I guess, in general, it doesn't look that much different than a formal training plan, except for the approach to it. I am doing it because it's fun, not because it's on a piece of paper. See the difference? Okay, me neither. On Tuesday I had a wonderful massage by a West Seattle massage therapist. This was exciting, because I had yet to find a new massage therapist who was both in my 'hood AND awesome. Massages are fun, so I am glad Sarah told me about a good deal at a local place that I could take advantage of. Thankfully I am pretty much done with my Christmas shopping (thank you, Amazon! ), creating photo books, and mailing out packages to far-away relatives. Whew. Now I am down to the rest of the list which feels vaguely manageable. No matter how thin I stretch myself emotionally, physically, financially at Christmas time, it never feels like it is enough. Does anyone else feel like this? It is frustrating that every cause I want to support is asking for more donations of money and time around Christmas-- exactly when both of those things are in short supply and I can't do it all. Ugh! Guilt city. Besides the guilt, Christmas is fun! This year I am super excited that my husband's sister's family is coming to our house on Christmas day. Usually it is just the four of us chilling at home-- which is actually very fun, but this year it will feel more festive to have extended family here. I decided we will have a big taco bar for dinner, how awesome is that?! Anyways, that's what is fun (mostly) right now. Let's see. What to say about this week? It was a very busy one, I only got in two runs. I needed to (repeatedly) remind myself that this is my down time. I can take as much down time as I want/need and it's exactly perfect. Sarah and I focused on our upper body and abs. Oooo, it was a good one! My chest was so sore the next day! We also did a little stair climber at the end which was hard and fun. I had to do this run on pavement and again my legs were crazy sore afterwards. Hmmm. I think I might not actually be making this up, because my legs were less sore after a 3 1/2 hour trail run later in the week than they were after this 50 minute pavement run! We also stopped to check maps, eat, take photos, blah blah blah. Anyways, there was still a lot of running to be had! That middle peak is the Squak portion. We got a great little sneak peek at Mount Baker from up there, which was so cool as we rarely can see it from this far south. The weather was amazing. Started in the 30s, got up to low 50s, sunny the whole time. We went on some trails we hadn't ventured on before, which was really fun. Can't wait to go back and explore Squak some more soon! One of the exciting things that happened is that I tripped and laid myself out on the trail for the first time. When I tripped I felt like it was slow-mo, I knew I was falling and yelled "ahhhhhhhh" for what felt like forever. Then I was flat on my stomach. Nothing broken or bleeding, thank goodness. Not even any ripped clothes! I will have a nice big bruise on my thigh and elbow, though. At least I got that out of the way! Originally we planned to run for 2 hours and I brought a map for a new route, having no clue how far it was-- or the elevation. Rookie move on my part. We ran much further than we planned and didn't even do half of the route I hoped we would! Stacey and I agreed we could have kept running all day if we had the time. It was one of those runs where every step (maybe not the trip . . . ) was amazing. One of my goals is to take more photos on the trails. Unfortunately, my phone isn't taking great pictures now. Maybe my lens is too scratched or something? Everything is blurry. But I got this one of Stacey and me on a bridge on Squak. Love running with this girl. We will officially begin 50k training next month and have some serious fun at the Sun Mountain 50k in May! Not having a running plan is throwing me for a loop. My brain is saying "go run!" and body is saying, "um, NO." Well, that's a little drastic, maybe it's saying "um, that's a bit much." It is interesting, sometimes when I am faced with scheduled miles on a training plan and I just want to crawl in to bed and ignore it . . . but then I've got nothing planned and want to go run and run and run. Hmmm, on second thought, maybe I should just throw training plans out the window all together! Ha. It was mostly a great week on the workout front, though. Will probably end up finding a nice groove just before being hit with my girls' winter break! So this is where I started pushing it too much. I didn't think I was going to have time for a run this day so when I unexpectedly had half an hour free, I jumped on it. After stepping out the door I decided I felt good enough to do my own personal version of speed work. There is a three mile out-and-back run from my house that is flat and goes through a few stoplights. The goal is to cover the 3 miles in under 30 minutes without stopping my watch (so, the longer I am stuck at stoplights the faster I have to run!). I ended up running in about 27:30, which was fun and also, BY FAR the fastest I have run in what felt like forever. In hindsight, pushing myself that hard right now is not in my best interest-- so luckily it won't happen again for a while. Sarah and I met at her gym and did a killer leg workout from her trainer. Short and intense. Perfect! The last time we did this workout my buns were so sore the next day, it is a good one! Lunges with kettle bells, squats, double leg presses, single leg presses, glute bridges and then some overhead tricep extensions for good measure. I woke up and felt like running a certain route around my neighborhood. It ended being the farthest I had run on pavement in several months (I think!). I felt just fine on the run, which included an almost mile long hill right in the beginning, but was flat the rest of the way. It wasn't a particularly speedy run (about 10 min/miles), but running on roads typically means faster pace than trails, so it was quicker than I was used to. Later that day, however, my legs felt like I pushed them through a tough half marathon. I was so very sore, which seemed really unusual given the length of my earlier run. I'm not sure if it was too much, too soon after the marathon, or the pounding on the pavement, or still being tired from the strength workout the day before . . . anyways, it kind of sucked. Lots of hamstring stretching, was was perfect for how terrible my right hamstring has been feeling lately. 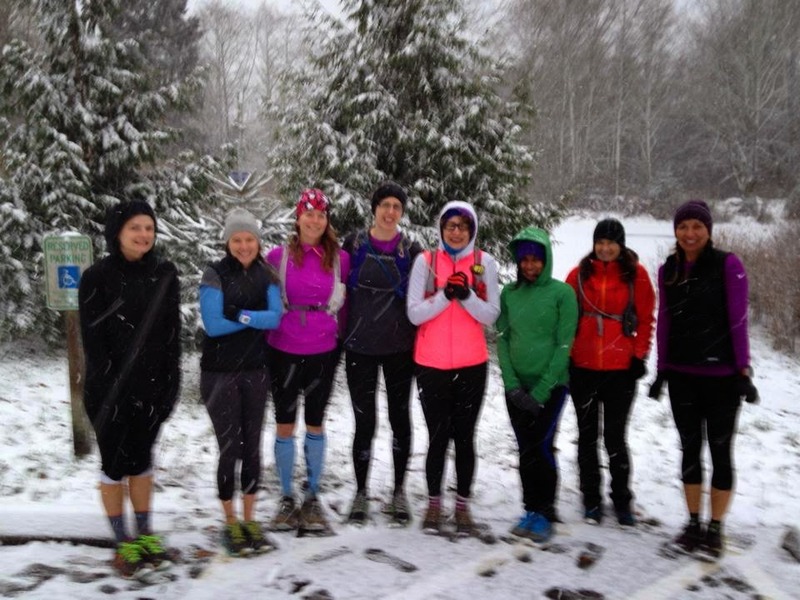 I met the High Heel Running Group at Cougar and originally planned on doing 7 miles. Then I realized it would likely be better for my body to just stick to 5 and call it good. It was a great run, I made a new friend and we took it nice and slow and chatted the whole time. I finally sat down to think about my Christmas wish list. Not surprisingly it mostly centers around stuff to support my running habit! The first thing on my list is a new yoga mat. I got my current one at Marshall's and it's pretty cheap, both in cost AND quality. Here's to hoping that you get what you pay for and a new pricier mat will make yoga class even more enjoyable. After my chilly, snowy run on Saturday I realized I need a bit more winter gear to make trail running more comfortable through the cold season! 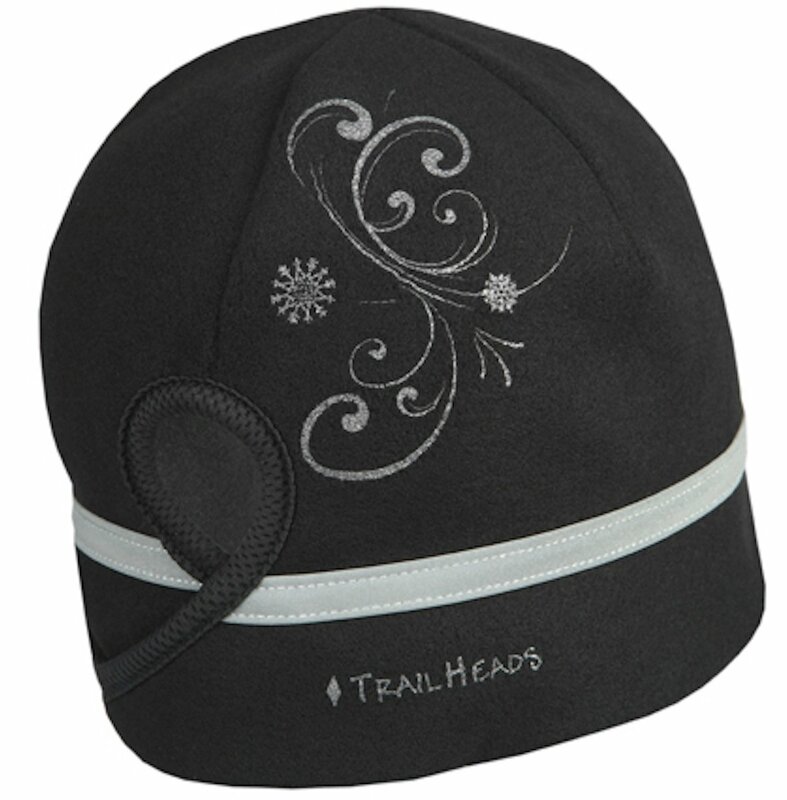 A trail scarf would certainly be a huge help! These are my two favorite of the research I have done. After watching Stacey slip these on her feet over new socks after a very cold and muddy run, I instantly knew I HAD TO HAVE A PAIR. They would be perfect apres-run! I searched all over for a warm ponytail hat. This was one I found that I thought was cute and also functional. One of my very favorite gifts ever was the Keurig I got last year for Christmas. My only complaint about it is that the coffee isn't very hot, so if I want to add a lot milk (or eggnog!) 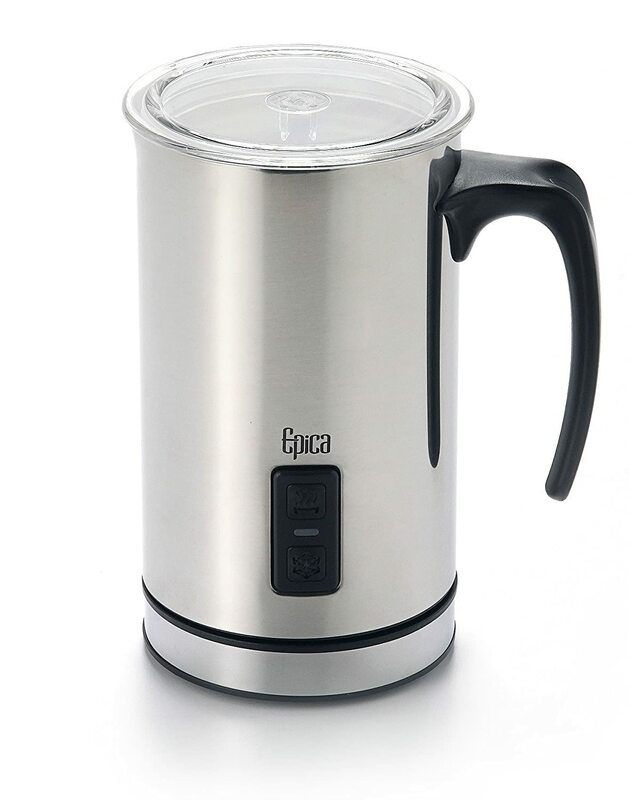 it really cools my coffee down. Since we don't have a microwave and I am too lazy to heat milk on the stove, this is the perfect solution! So that's basically it! I am sure I could come up with a a few (okay MANY!) more things that would be fun to have, but these are my top wish list items. What do you have on your holiday wish list? I spent the last two weeks doing almost nothing. A bit of yoga was about it! In fact, this past week I did four days of yoga (usually I just do two) and it was so lovely to be on my mat a bit more. In addition to yoga I just appreciated the small stretches of walking I do each day to get the girls to school. After yoga class on Thanksgiving day I headed out for my first run post-marathon. A three mile spin through Lincoln Park and just like that I was moving on past the marathon. My body felt pretty much normal except for a little creakiness. And heck, even creakiness isn't terribly uncommon for me these days! Photo taken by a HHRG member that isn't me. The trails were incredible, other than some mushiness and puddles left over from the torrential rain we had the day prior. I enjoyed every step of the run and my body felt great the whole time. Doing a longer run at Cougar felt like I was semi back at it. I say "semi" because I don't officially begin training again for two more months, but between now and then I have to make sure my fitness level is where it needs to be come January 26th to start off running a 25 mile week-- and just add more mileage from there! Getting my long runs up to 10-12 miles or so would be nice, and absolutely do-able, as well. Mostly what I need to focus on in this time is strength training, which will be tricky. I envisioned that I would do my workouts inside once the weather got bad enough to not be able to do them outside . . . but, I just don't. I really need to temporarily join a new gym! The past week was filled with all sorts of fun. We went to Great Wolf Lodge for two nights! Two nights > one night, I have decided. Thanksgiving was wonderful, though I didn't take a single picture of the entire day. Started with yoga, then a run, then home to get my share of the feast ready before heading over to our friends' house for the big meal. We have such a wonderful time with their family and I think I realized this year that Thanksgiving might be my very favorite holiday. At least the way we celebrate it, it is! Relaxing with friends and catching up before eating an amazing meal capped off by out of this world desserts. Apparently I adore pecan pie. Who knew?! This year after dinner the Seahawks played and it was such a fun game to watch. Back in time to get the girls in bed . . . but then Eloise woke up in the night with a fever. The Thanksgiving curse! Timehop reminded me that at least two of the last five years one or both of my girls have been sick on this day. I recall several instances since they were babies of one of them spending the evening puking, or getting sick later that weekend. Interesting, no? Why always the same time? Sadly, Thanksgiving being over means it is December, and I'm not looking forward to December. It is such a crazy-busy month for us, as it is for most people, so it will be nice when Christmas arrives and the whirlwind of everything is in the rearview mirror.